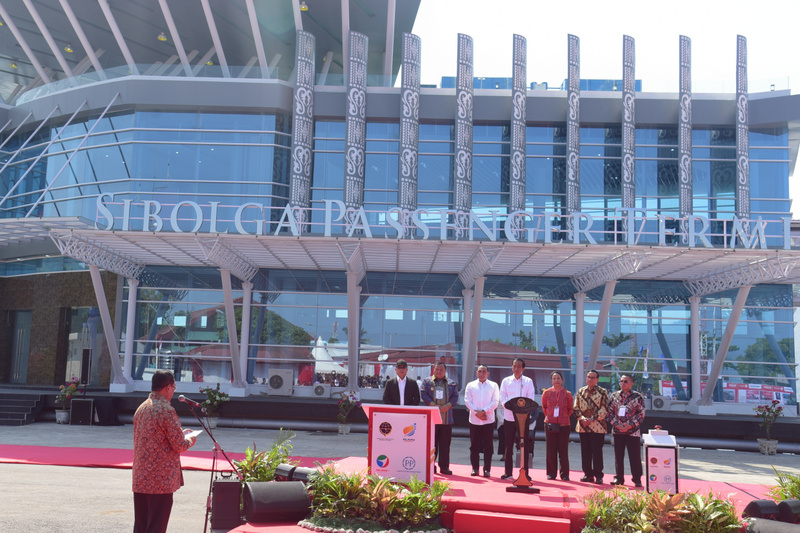 As part of his working visit in North Sumatra province, President Joko “Jokowi” Widodo Sunday (17/3) paid a one-day working visit to the city Sibolga for the inauguration of the city’s Sambas Port. Sibolga is a city and a port located in the natural harbor of Sibolga Bay on the west coast of the province. It is located on the western side of North Sumatra, facing the Indian Ocean and is 342.6 kilometers to the south west of the provincial capital Medan. 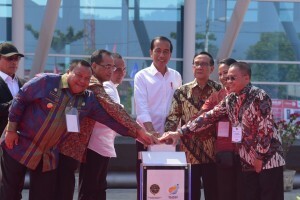 The President expressed hope that the revitalized Sambas Port – which is managed by state-owned port operator PT Pelindo – could boost economy on the west coast of North Sumatra and promote tourism in Lake Toba, a major tourist destination in the province. Following the revitalization, the port is not only able to handle containers but can also handle loading and unloading cranes and is equipped with glass-walled sky bridges, making it an international-class port. 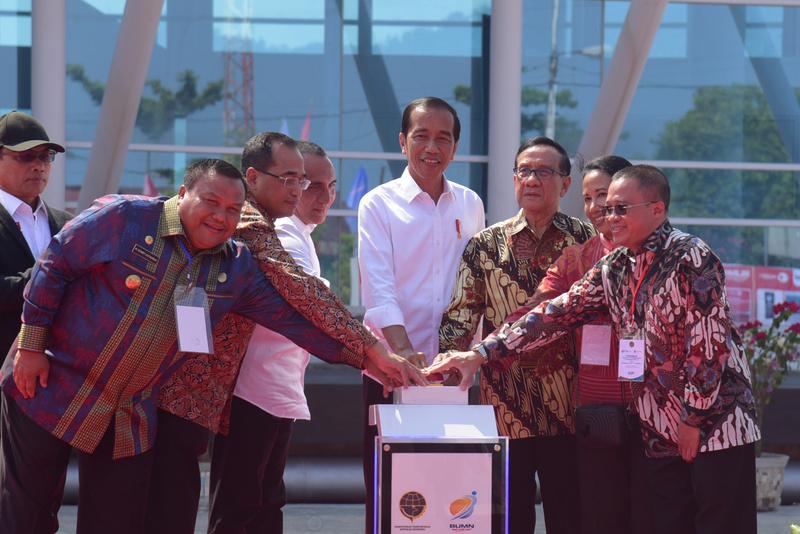 The groundbreaking of the port development project was done by the President himself in 2016. The Sibolga Port currently has a container capacity of 20,000 total equivalent unit (TEUs) per year and is able to accommodate ships with a capacity of 6,000 Gross Tonnage (GT) from only 2,000 GT. The capacity of the port terminal has also increased from 80 people to 500 people. The design of the port has also earned it the best port design in the Asia Pacific, and the separate place between ships and cargo ships makes it more efficient. 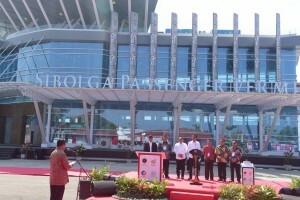 “It’s time to work harder now so that more goods and services will use the Sambas Port. The infrastructure is here, so we must continue to push for economy to grow in Sibolga and its surrounding areas,” said the President.